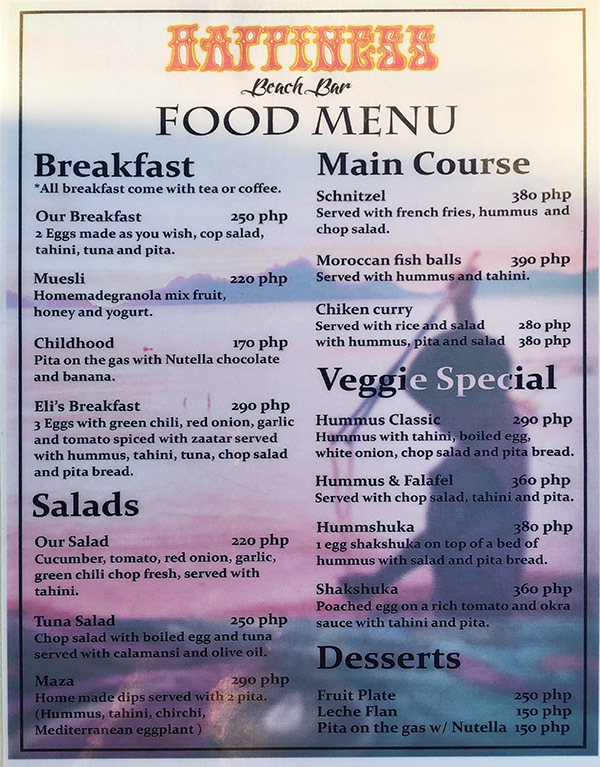 Ethnic food is hard to find in El Nido, so I was excited to try the Mediterranean restaurant, Happiness Beach Bar. 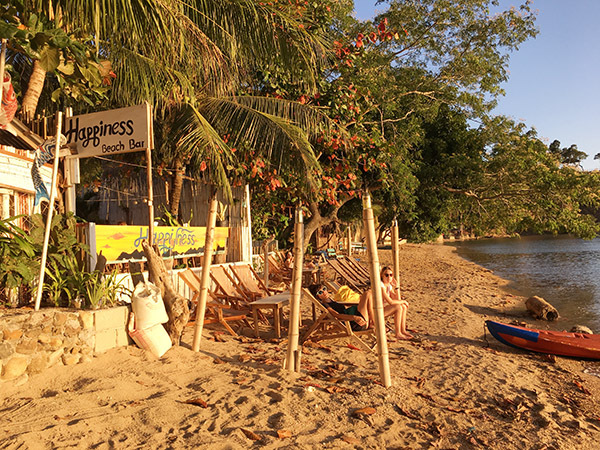 Located in Corong Corong just down the hill from Republica, it’s currently the #2 restaurant on Tripadvisor. 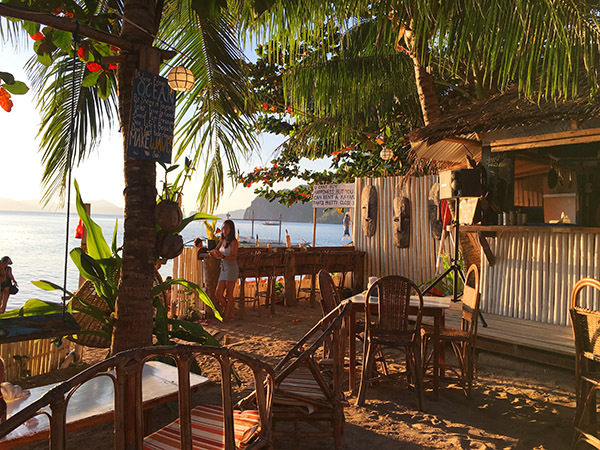 This is one of the most laid back spots in El Nido to enjoy dinner, drinks and the sunset. 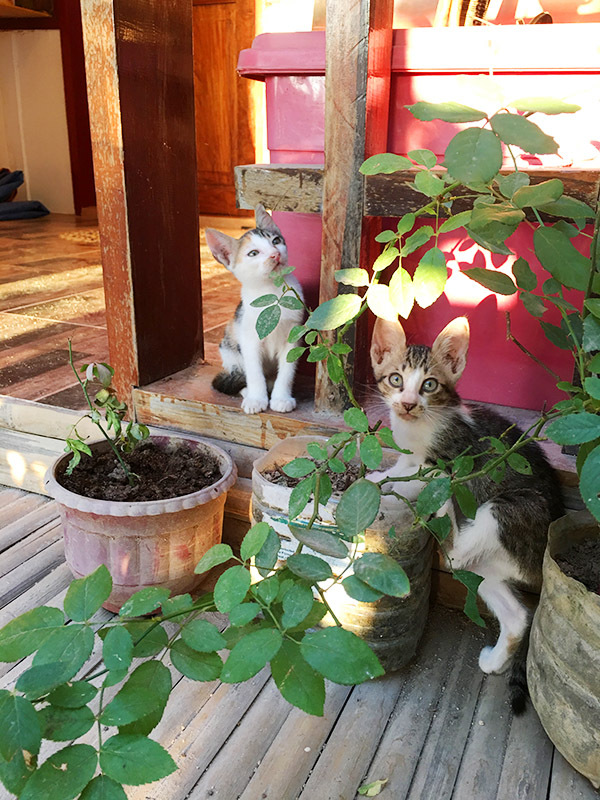 I asked for a recommendation, and the owner suggested the fish balls. 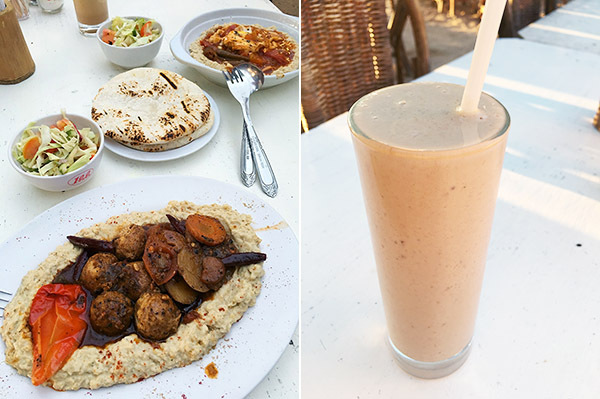 My husband had the hummus and falafel. 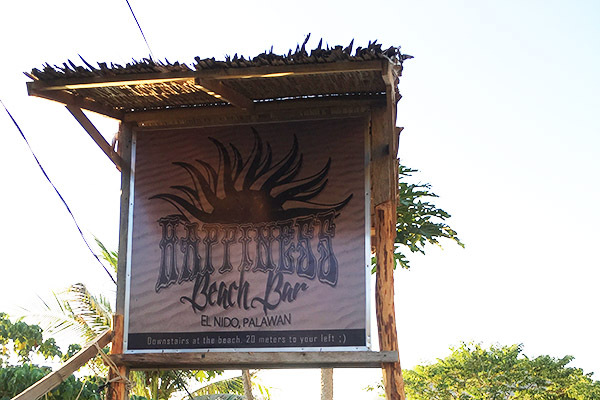 The food was wonderfully flavorful and spicy, and spicy food is hard to come by in El Nido! Their Kahlua banana shake was also delicious! 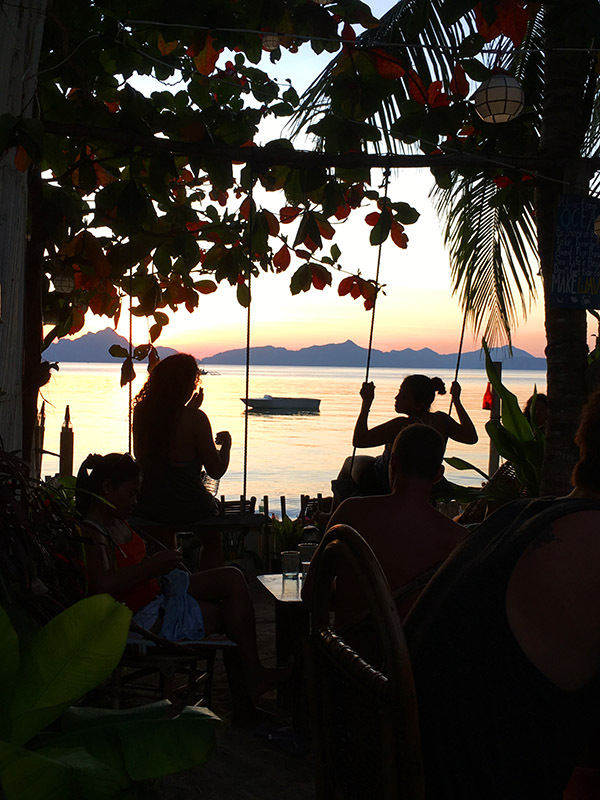 There are swings and a hammock for you to lounge and enjoy the beautiful sunset. 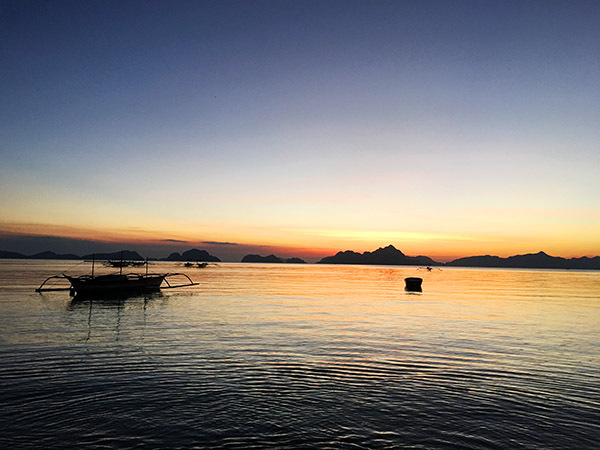 Located 15 minutes from downtown El Nido, it’s a 150 peso tricycle ride.